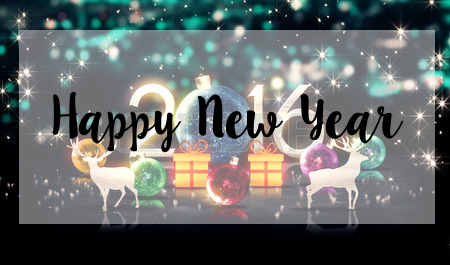 It's now 2016 - Happy New Year everyone! Hope you all had a great time celebrating, whether you were tucked up on the sofa with a cup of tea, or out partying the night away with lots of champagne. I went to my neighbours' house for my celebrations, playing different types of games that my neighbour had set up such as Skittles and Boules, so I was having fun playing the games and it was a good laugh with everyone. What are your resolutions? If you want to read mine, they're here. From 4th January (Monday), I'll be back with lots of new album reviews and Featured Artists for your ears to enjoy, with an exciting announcement (that I may need your help with). On Monday I'll be posting my "What I Got For Christmas" blog post, showing you all the lovely gifts I received and also the things I bought in the January sales.